The longlists for the CILIP Carnegie and Kate Greenaway Medals, the most prestigious children's book prizes in the UK, have been announced. The lists have been drawn up by a team of 14 volunteer youth librarians, selecting from 254 entries. 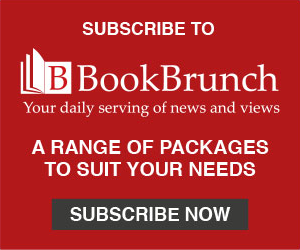 The shortlists will be announced on Tuesday 19 March 2019, and the winners will be announced at the British Library on Tuesday 18 June, at a ceremony hosted by Konnie Huq. Each winner receives £500 worth of books to donate to his or her local library, a specially commissioned golden medal, and a £5,000 Colin Mears Award cash prize. There is also a Shadowers' Choice Award, voted for by children's taking part in the Carnegie/Greenaway shadowing scheme. Following a review carried out last year as a result of concerns about the 2017 Carnegie and Greenaway shortlists, an equality, diversity and inclusion advisory panel is to work alongside this year's judges "to help ensure diversity and inclusion are embedded throughout the awards process". The panel is chaired by Jake Hope (children’s book consultant and YLG National Chair), and includes Darren Chetty (academic and writer); Nyandavoh Foday (poet); Pete Kalu (writer and co-director of Commonword); Melanie Ramdarshan Bold (academic and writer); Karen Sands-O'Connor (academic and writer); and Megan Quibell (blogger and Inclusive Minds ambassador). The medals are sponsored by Peters and ALCS, and funded by Carnegie UK Trust. Amnesty International UK no longer gives an honour commendation to a shortlisted title, but will produce materials designed to introduce human rights to the discussion of the contenders in classrooms and libraries.